UUs across Europe meet together twice a yea​r usually in April and late October/early November,usually Friday through Sunday. SEE NEXT UPCOMING RETREAT BELOW!! 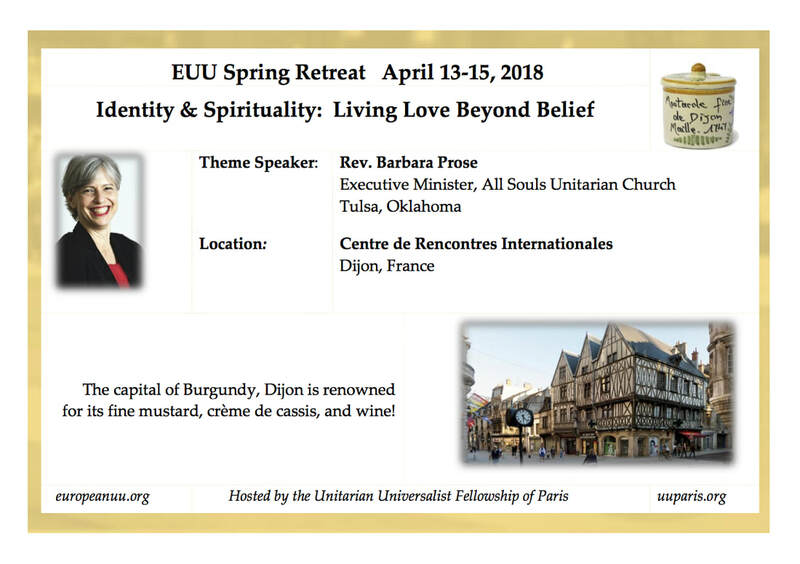 "Engaging the Heart, Ways to Spirit"
The fall 2017 EUU retreat keynote speaker, the Reverend Diane Rollert, is the Minister of the Unitarian Church of Montreal and our new UUA Ambassador to the EUU! This retreat also welcomes special guest speaker Taco Ijzerman, a Druid who will offer earth-based workshops and heartfelt celebrations of the season. The lovely Corsendonk Sol Cress Center is nestled in the Ardennes Forest, just above the charming town of Spa. Bring your bathing suit if you want to visit the baths at Les Thermes, known for its healing waters since Roman times. It’s just a stone's throw from Sol Cress. Workshops will, as always, be offered on Saturday. But at this retreat, you can also choose an optional extended stay & extended activity program. A final, friendly tip about booking your Sol Cress room – Because reservation preferences are granted on a first-come-first-served-basis, we encourage you to register early. See you in Spa! Remember that EUU has a grant fund to help members who need financial assistance to be able to attend. 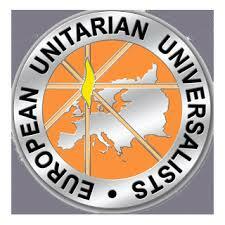 "Founded in 1982, European Unitarian Universalists (EUU) is a religious community and network connecting Unitarian Universalists (UUs) and UU fellowships in Europe. Approximately half of the more than 200 members belong to local lay-led fellowships that share resources and programs (including Religious Education). The remaining members, known as "at large" members, are spread over most of the countries of Europe but are not affiliated with a particular fellowship. EUU publishes a quarterly newsletter, the Unifier, and sponsors twice-yearly retreats in various locations. Recent retreats in Belgium, France, the Netherlands and Germany have each attracted up to 150 Universalists and Unitarians from across Europe." 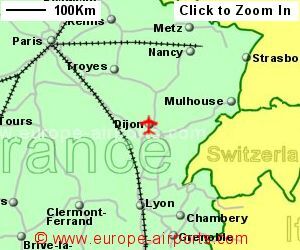 The European Unitarian Universalist Retreat Committee is will announce when the next registration is now open! I'd like to attend the EUU Retreat, and I'd like to share a ride or a room with someone! EUU Retreat! Ask us about it! 4 of us went: Karin Holm Randall, Veronica Magar, Julie Thompson and her son, Alex -- it was a blast! First European Unitarier Tag in Ulm, Germany. 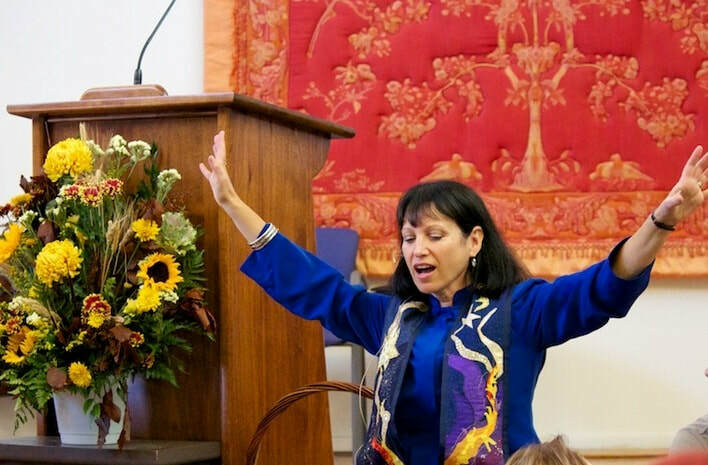 Prof. Manuela Kalsky, Professor of Theology & Society, Free University Amsterdam "My aim is to make connections between believers of different religions, and also among believers and secularized people. My current research project .....is on multiple religious belonging, about people who embrace more than one religious tradition, and people who mix elements of different world views and religious traditions." "The Limits of Dignity: Is Democracy Incompatible with Human Nature?" Bill Schulz, a former UUA President and former Executive Director of Amnesty International USA, has been a popular and inspiring speaker at more than one EUU retreat over the years. We are happy to welcome him to this historic European gathering.